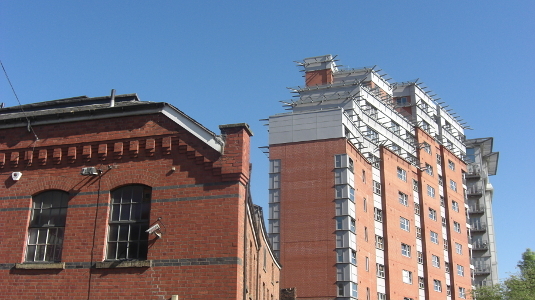 Charles Street, Manchester, at 1552 on 25 May 2012. I went to meeting number 19 of the WordPress London local group on Thursday 17 January 2013, held at the Google Campus. Laura Kalbag gave a talk on designing WordPress admin icons, which included Laura producing a new icon live! After the meeting it was drinks at the nearby Masque Haunt. 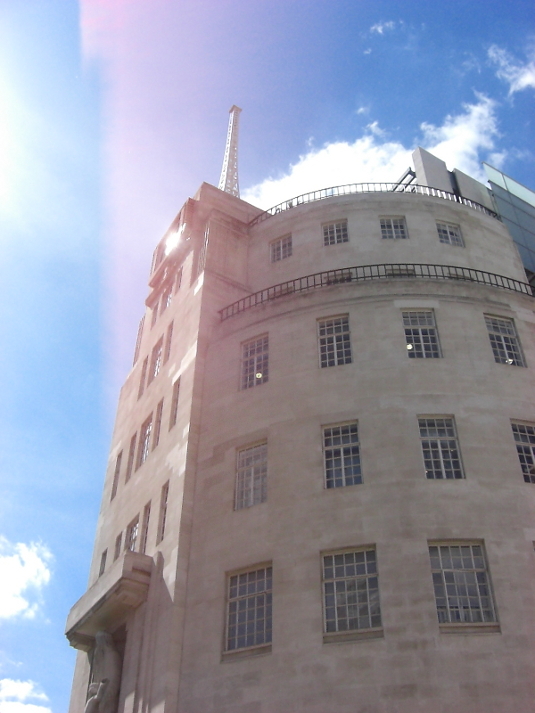 Happy birthday, BBC Radio, which was 90 years old on 14 November 2012. I attended the annual Wetherspoon 2012 Autumn Real Ale Festival at various JDW establishments across London. The Festival, which ran 24 October to 11 November 2012, featured 50 real ales and 10 ciders. I attended the Wetherspoon 2012 Autumn Real Ale and Cider Festival which ran 5 to 23 October 2011 and featured 50 real ales and 10 ciders. The festival included ales by international brewers but specially brewed in the UK for the event, shown by [international special], and occasionally brewed beers [occasional]. Full details are given in the festival tasting notes [2.9MB PDF]. So, that’s it for analogue broadcast television transmission in the United Kingdom. The switch from PAL 625 line transmission to DVB-T across the UK was completed on 25 October 2012 when the analogue signal was switched off at the Divis transmitting station in County Antrim. The switchover also saw the closure of all broadcast teletext services, including the BBC’s Ceefax. So, goodbye analogue TV transmission – it was good whilst it lasted! 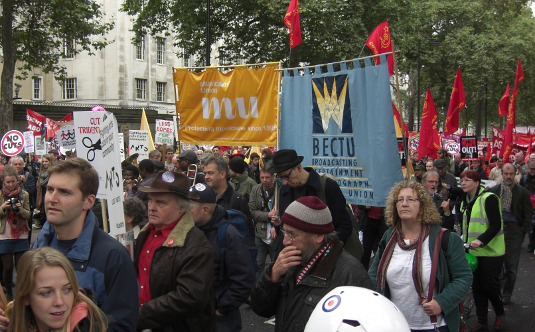 I went on the TUC organised A Future That Works march with the BECTU contingent on 20 October 2012.